Illinois lawmakers are now moving forward with an effort to hopefully enhance the health of the deer population. After weeks of robust discussion and a parliamentary hold on the legislation, lawmakers are now moving forward with an effort to hopefully enhance the health of the deer population in Illinois by providing supplemental nutrition. Chronic wasting disease (CWD) is a fatal neurological disease found in deer, moose and elk. It has similar characteristics of mad cow disease, but can only be found in cervids. The disease attacks the nervous system and causes the animal to lose control of bodily functions. According to the Illinois Department of Natural Resources, the state's first case of CWD was found near Roscoe in northern illinois in the fall of 2002. "CWD is a concern every year for Illinois," said Ed Cross with IDNR. "But I wouldn't call it a growing concern." 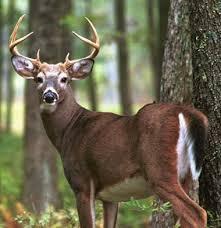 As of May, deer in 15 counties have tested positive for the disease. Cases are found primarily near the Wisconsin/Illinois border, but it’s trickled down as far south as Livingston county. This measure allows the University of Illinois Prairie Research Institute to conduct a five year study on the health effects of supplemental deer feeding. The IDNR and the U of I College of Veterinary Medicine will also provide consultation throughout the study. The idea has sparked controversy. Critics call it a deer baiting bill, but the legislation only allows for supplemental feeding from February 1st through August 15th, which would not fall during bow or shotgun season. Still, some argue that deer are creatures of habit and will return to a location providing a regular food source. State Sen. Chapin Rose (R-Mahomet) said there has been a lot of misinformation about the proposal, but the study is just about gaining more information. Other critics worry conducting this type of study could actually further spread the disease. State Rep. Jerry Costello (D-Smithton) said he understands those concerns, but the way the bill is written, the study could be stopped. "IDNR can stop this at any point in time," said Costello. "If they witnesss some type of spread of CWD they can hault this program." IDNR has been using a sharpshooter program in an attempt to eliminate the disease. The department said they are neutral on the current proposal, but are against any type of deer baiting. The legislation passed both chambers and will be sent to Governor Bruce Rauner's desk.